ההר בבימוי רינה ירושלמי, אוניברסיטת ניו יורק. פיסול בספרים, לי-נייהוף, אמסטרדם; גלריה ארבל ראשון לציון; אוניברסיטת פייס; גלריה צוותא, ת"א.
Rebecca Rivka Rass divides her time between New York and Tel Aviv. 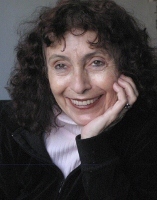 She teaches English at Pace University in New York, and creative writing workshops in Jerusalem and Tel Aviv. Her books - prose, poetry and nonfiction - were published in Israel, USA, Spain, Switzerland and Holland. Her articles, reviews and interviews on the arts, literature and theater were published in magazines in Israel, Norway, Holland and USA. She won the Prime Minister prize for literature in 2001 and the ACUM prize for manuscripts submitted anonymously in 1995 and 2009. Her one person exhibition, Book-Sculptures was shown in New York, Tel Aviv and Amsterdam.